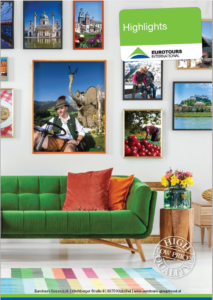 The Kitzbühel/Tyrol based tourist enterprise, Eurotours International, is the largest incoming agency in Central Europe, as well as the largest tour operator in direct sales in Austria. 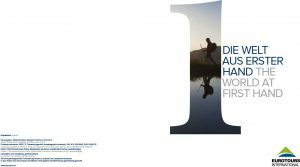 The company also belongs to the Verkehrsbüro Group, the leading concern in tourism in Austria. With a team of 350 highly qualified experts in tourism, Eurotours markets the full range of touristic offers in Austria and the surrounding countries on a worldwide basis and in doing so covers all forms of organized travel: from individual travel arrangements in both resort destinations and cities, to group travel, incentives and conventions. 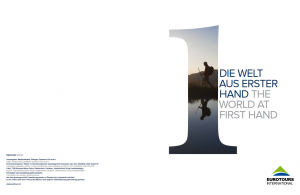 In 2012 the company handled a total of 1.245 million passengers and generated a turnover of 240 million Euro. Here you can find the dates of the most important workshops and events where you can find us. We would be delighted to meet you there. Of course you can also make an appointment with us at grouptravel(at)eurotours.at. Here are our brochures for download. 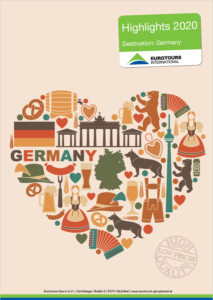 Logos and other corporate informations are available on the Eurotours website. 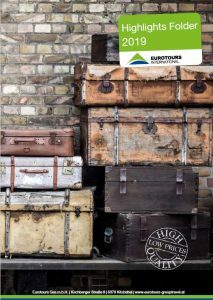 In our extensive archive you will find all the images for the respective Eurotours products. Through this service we would like to assist you in your marketing endeavours by making it even easier to obtain picture material. The images are free of cost and in a printable form. Please understand, that we can only offer this service to registered users. Here you have the possibility to download our Terms and Conditions as a PDF document.